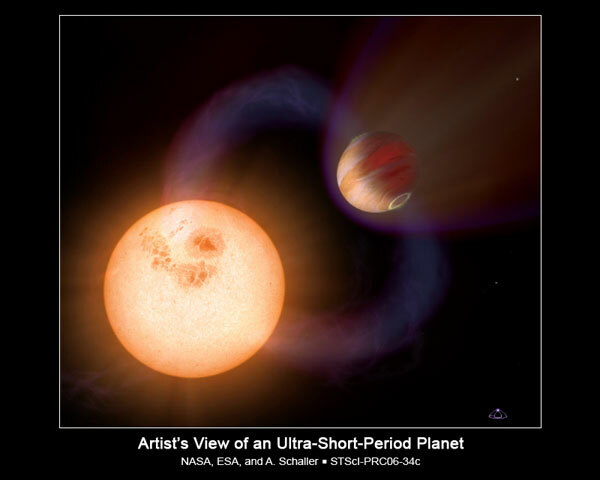 Extra-Solar planets (or "exoplanets") raise some simple questions for creationists. But the questions they raise for evolutionists are much more complex. For instance, from a cosmic evolutionary presupposition, colorful and interesting suggestions are made that are fanciful indeed. Although the thought of discovering an Earth-like planet somewhere out there is a kind of Holy Grail for evolutionary astronomers, such a discovery would compound the need for rational explanations instead of excuses masquerading as theories. Many evolutionists have long hoped to find evidence of life in space. They reason that if life evolved on Earth, then it could have evolved elsewhere. If, as the argument goes, there are countless planets throughout the universe that have formed via natural processes, there must be other Earth-like planets. Many think that finding such a planet outside our solar system would be almost like finding evidence of life in space. You can read the rest of "Planets Around Other Stars", here.